I found this awesome site and thought you might like it too. 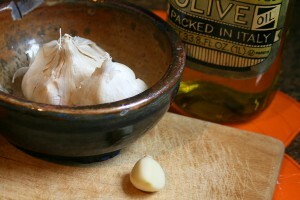 The link is athttp://www.sodura.com/garlic-as-natural-cure/. I am no expert on holistic medicine, but I try to use natural alternatives whenever I can. This is one that I found a few years ago and it is very effective. I have used it many times on my children, even as infants, whenever I suspected an ear ache or oncoming ear infection. I have them lay their head on the pillow on their Aero Twin Bed or on my lap to place the drops in their ears. 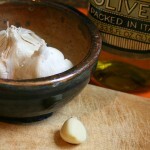 Slice a clove of garlic. Saute it in a couple of teaspoons of olive oil. Strain the garlic out of the oil and let it cool to room temperature, but make sure that the oil is not cold or too cool. Put a few drops in the ear that you think is having pain or both ears just to be safe. Pull on the ear lobe a little and rub along the jaw bone to encourage the drops to come down the ear canal. My children have NOT gotten ear infections accompanied with a temperature since I have been using this method. The garlic works as an anti-inflammatory and it also has antibiotic properties. You can do this a couple of times a day until you feel like the ache or infection is gone. I have also heard of cutting a clove of garlic to size and wrapping it in tissue and placing it directly in the ear, but I have tried this and it is nearly impossible to keep little ones from pulling it out! Hope you find this one helpful, especially during cold and flu season.